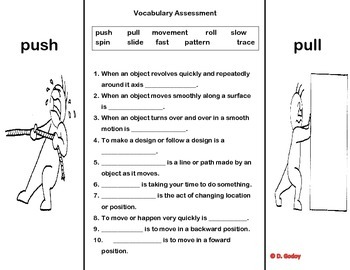 Students will idemtify the diffrences between a push and a pull. 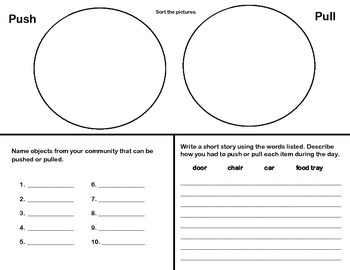 TLW write a brief story, write the type of force they use on a daily basis and identify pictures of pushing and pulling. Example is in spanish, but instructions are easy to follow.